Spring is the season for new life. Here at Intrepid English, we are eagerly awaiting the arrival of a bundle of joy in the form of my little niece who is due to be born this Easter week. 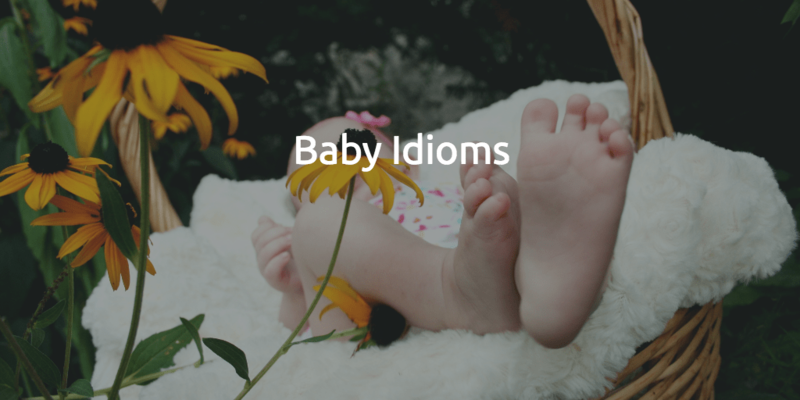 In English, we have several idioms related to babies and children. Here are some of the most common baby idioms for you to use in your English conversations this spring. If something is child's play, it means it's such a simple and easy task, even a child could do it. If you're not confident at cooking, I have a really simple recipe for tomato soup. It's child's play. The new computer system is child's play. I learned how to use it in a couple of hours. To sleep like a baby is to sleep really well. People that say they sleep like a baby have obviously never had children! I slept like a baby for the whole flight from New York to London. 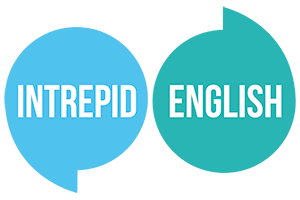 People used to use this idiom when a child would say something surprisingly intelligent or wise. Nowadays, it is used in a more sarcastic sense, when a child says something brutally honest. Grandma, your hair reminds me of a bird's nest... Thank you, sweety. Out of the mouth of babes! In English, we often refer to children as kids. If we describe someone as being the new kid on the block, it means that they are new to the company, team or organisation, and they don't yet know how things should work. Lucy is the new kid on the block so please make her feel welcome in the team. It seems like only yesterday when I was a new kid on the block at this company. Extremely smooth and soft with no flaws or imperfections. This fabric is so silky, it's as smooth as a baby's bottom! The white sand on my favourite beach is as smooth as a baby's bottom. I love the texture of peaches. They feel as ____________________ . Sam learned to play the guitar in less than a year. He said it was ____________________ . Luke is training a new starter at work. It can be hard to be the ____________________ . I'm going to ____________________ tonight. I'm absolutely exhausted.